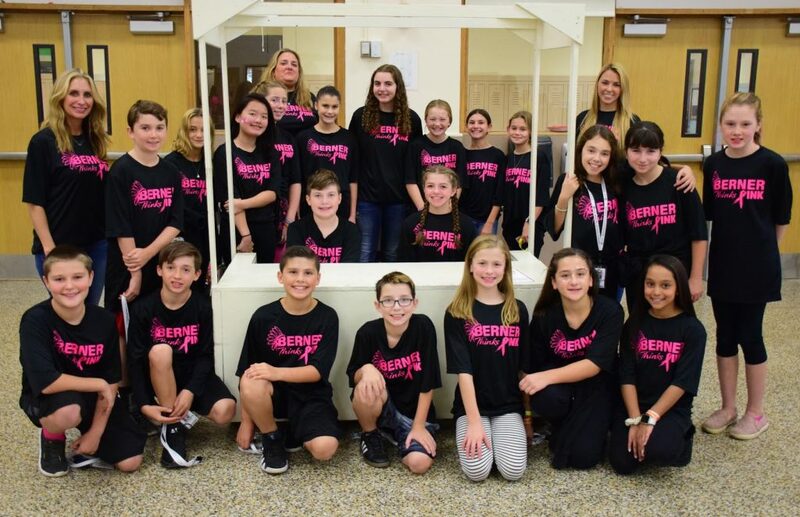 Pink shirts were the norm at Berner Middle School in the Massapequa School District on Oct. 17, which was the annual Think Pink day for Breast Cancer Awareness Month. Students wore their Berner Thinks Pink T-shirts which were sold by the Student Council as a fundraiser for breast cancer organizations. This year featured a new design with pink lettering on black shirts. Teachers did face painting for small donations, with popular designs including pink ribbons and pink eyeblack lines. Oct. 17 also marked the first day of Think Pink home games for Berner’s athletic teams. Each team devoted one home game in late October to the cause, with money raised going towards the district’s overall donation to the Side-Out Foundation. Most teams held bake sales to raise money. 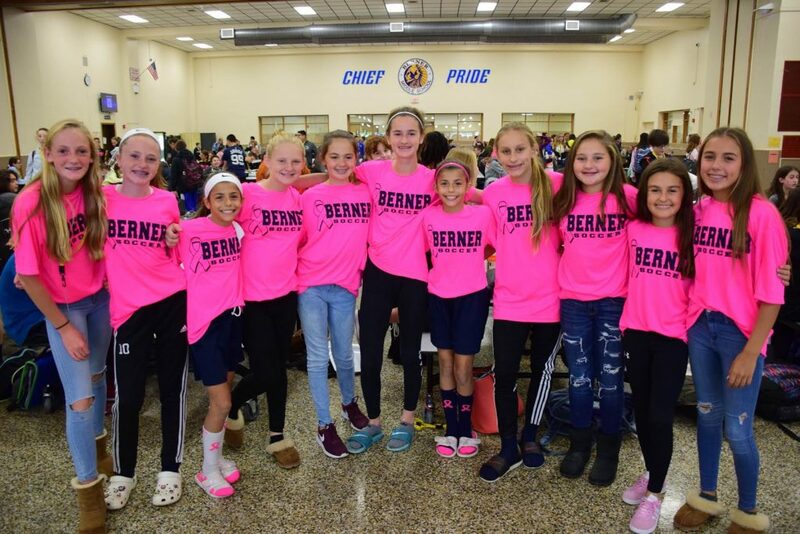 Last year, Berner’s fundraising effort netted approximately $9,500 for breast cancer causes, which included T-shirt sales, face painting, athletic contests and homeroom collections. Donations have increased every year since the first Think Pink day in 2010. 1: Students and staff at Berner Middle School wore their new Berner Thinks Pink T-shirts as a fundraiser for Breast Cancer Awareness Month. 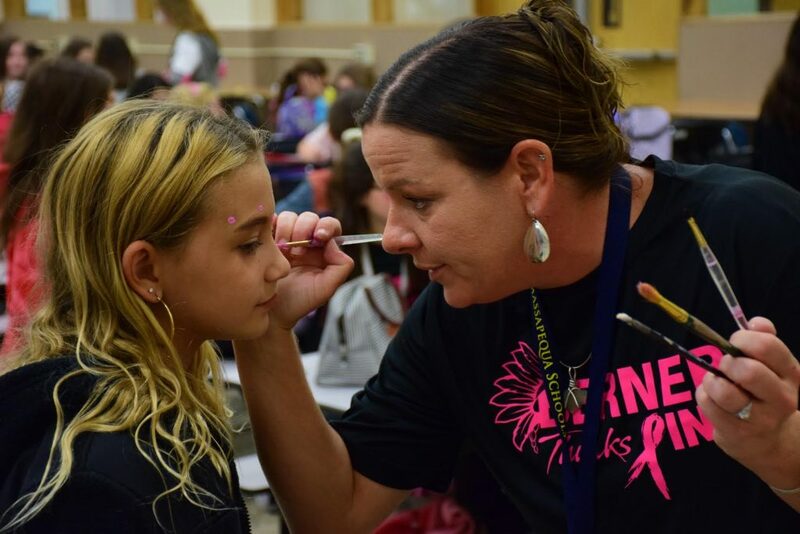 2: Art teacher Heather Cullinan painted seventh-grader Julianna Holmes’s face for a donation for breast cancer research. 3: Players on the middle school girls soccer team dressed up for the cause.